Ron Napal, a 1966 graduate of Antioch College, will guide the college’s advancement office until a permanent chief fund-raiser is hired. Antioch College President Mark Roosevelt today announced the appointment of development professional Ron Napal as interim director of advancement. Napal assumes his duties on Monday, January 10. The executive search firm Isaacson, Miller has been engaged to lead the search for a permanent senior executive for advancement. Napal is a special advisor to the CEO and Board of Directors of the United Cerebral Palsy of New York City. He previously served as the organizations chief development officer (2004-2010), associate director for corporate development (1990-1994) and associate executive director for development and public relations (1994-1999). From 2000-2004, he was vice president and chief development officer for the Crohn’s & Colitis Foundation of America (CCFA), where he oversaw growth in revenues from $17.5 million to more than $34 million annually. He also served as interim president & CEO from April 1991 to March 1992. He was the founder and chairman of The Napal Group, an award-winning cause-related marketing and public relations consulting firm, including niche marketing, product placement, and special events production, working with Chemical Bank, Digital Equipment Corporation, The Hearst Corporation, and Reebok, among others. He was also co-founder and president of Matthews/Napal Ltd., an artist management company representing fine arts performing artists. 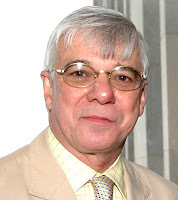 During his career he created and produced several television programs, particularly for PBS, and has been recognized for several prize-winning campaigns. The Boys and Girls Clubs of America Diamond Jubilee won a Silver Anvil from the Public Relations Society of America. The Opera’s New Clothes, produced for New York City Opera, received a Mercury Award. The Rowe Quartet Plays on Your Imagination, a program for Jefferson-Pilot Communications, won four distinguished awards, most notably a George Foster Peabody Award. He is a board member of Community Health Charities of New York, a member of the Advisory Board and former board member of Children’s Museum of the Arts in SoHo, a former board member of Concordia: A Chamber Orchestra, and founder and first president of NAPAMA (National Association of Performing Arts Administrators). Born in New York City, Napal earned a Bachelor of Arts degree at Antioch College in 1966, and attended the London School of Economics, the University of Southern California and Yale University. He is a Fellow of the Leopold Schepp Foundation and the Danforth Foundation. Very impressive resume. I'm getting heartened by the progress Antioch College is making in coming back. Finally, they are starting to do things right! Thank you for letting us know. The Yellow Springs News is only running articles on affordable housing. Antioch seems to have dropped off their radar screen. I just received this press release from Antioch. I'm sure the News got it at the same time I did. I imagine they will do something on it soon. Anonymous, you could also take a look at the college's web site, www.antiochcollege.org. "Antioch seems to have dropped off their radar screen." That's because they don't recognize the new college as Antioch. To them, NonStop is the real Antioch, and they get coverage in every issue.